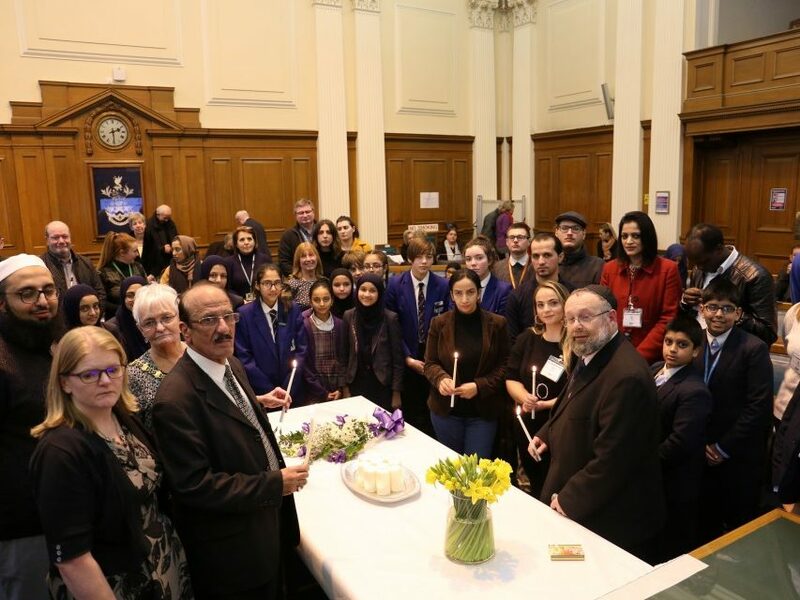 The borough’s Holocaust Memorial Day ceremony was jointly organised by the Council and Blackburn with Darwen Interfaith Forum. 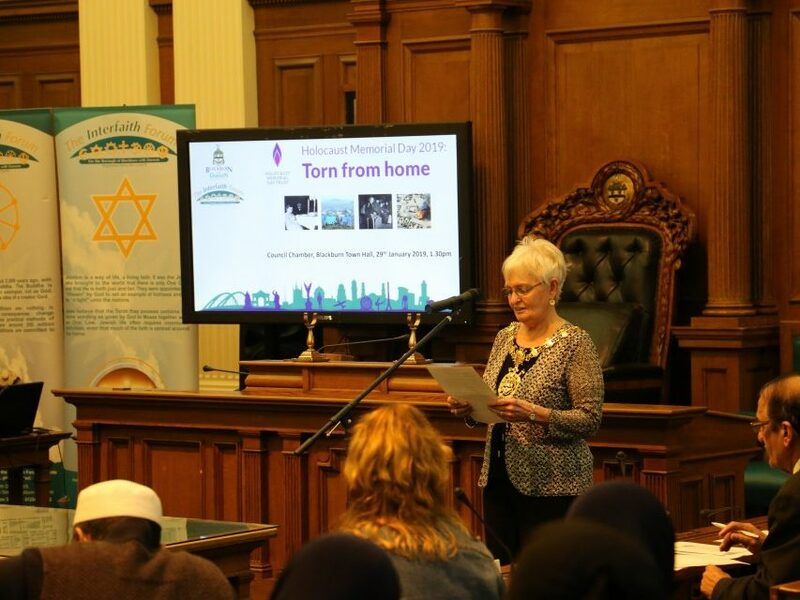 Compered by the Secretary of the Interfaith Forum, Derek Estill, the event took the theme of this year’s Holocaust Memorial Day: Torn From Home. The ceremony aimed to appreciate the devastating impact of individuals having to suddenly flee their homes, because of persecution and fear of death. 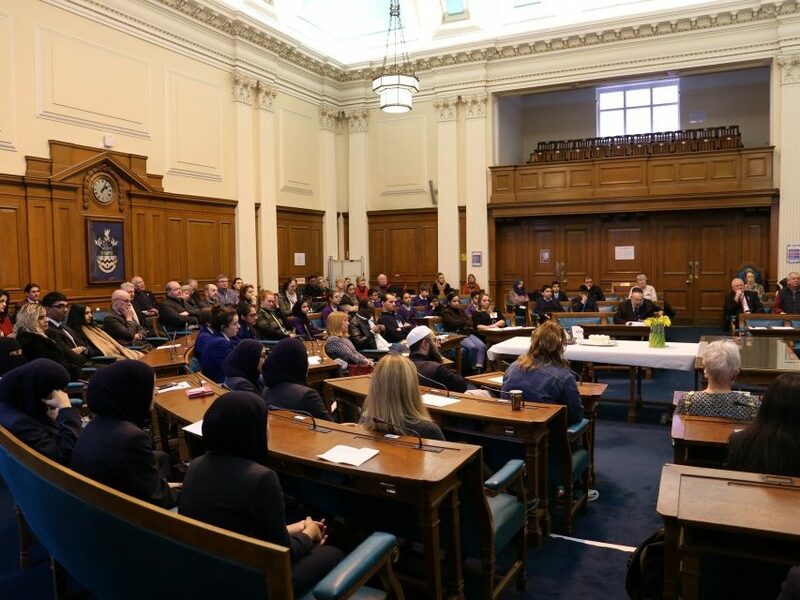 Four refugees who have made their homes in Blackburn with Darwen bravely spoke about their own experiences of being wrenched from their homes and leaving their families. Their powerful accounts of having to flee Kosovo, Rwanda, Syria and Afghanistan highlighted how lessons learned from the Holocaust are still relevant today. 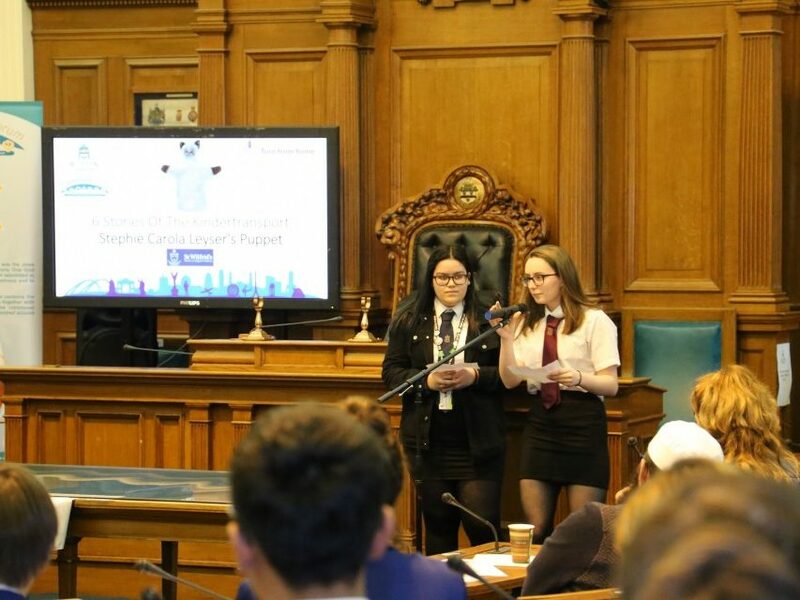 Pupils from six local secondary schools plus youth group Youth Action gave short presentations on the stories of children who left Nazi Germany during the Second World War through the Kindertransport. 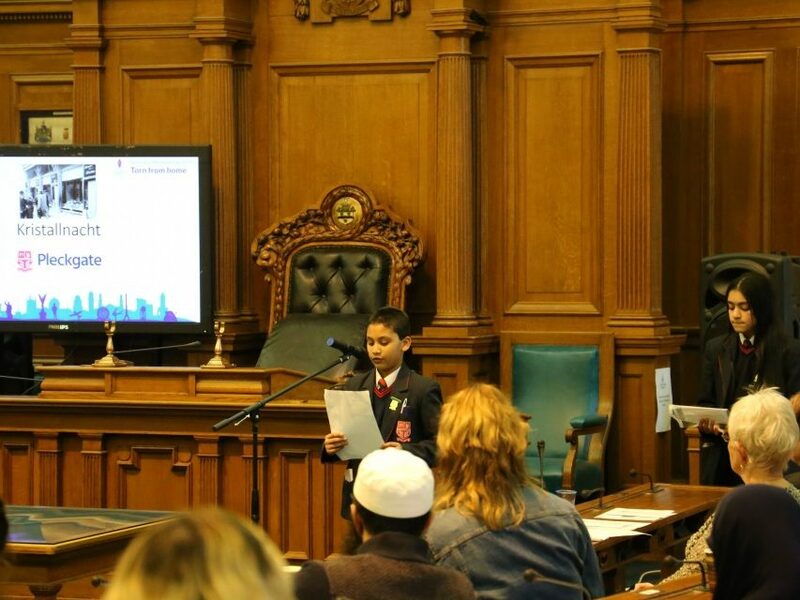 The schools taking part were: Pleckgate High School, Blackburn Central High School, St Wilfrid’s C of E Academy, Tauheedul Islam Girls’ High School, Tauheedul Islam Boys’ High School, and Queen Elizabeth Grammar School. 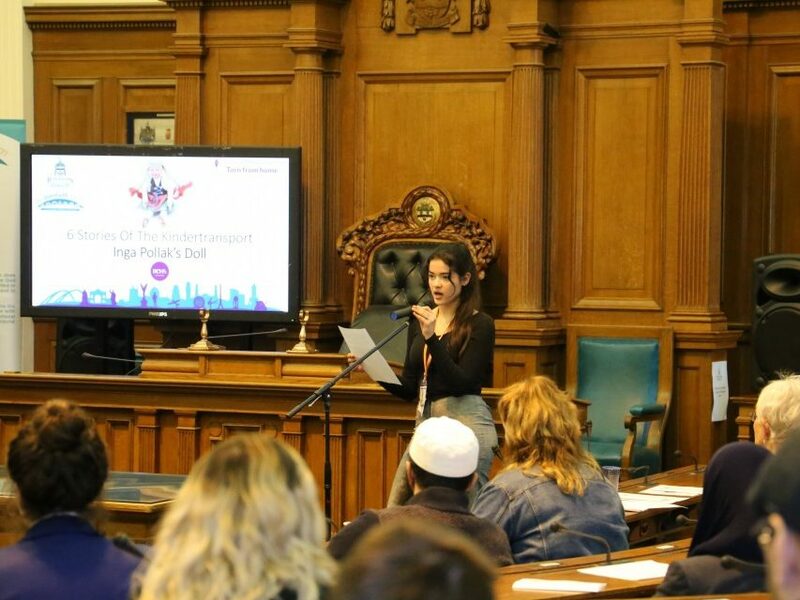 There were also contributions from Blackburn with Darwen Youth MP Elle Walsh, Interfaith Forum Chair Mohammed Tayyab Siddat, and Councillor Mohammed Khan, the Leader of Blackburn with Darwen Borough Council. Rabbi Arnold Saunders gave the keynote address. He spoke about the importance of joining together in a show of unity against the perpetrators of genocide and massacres. To close the ceremony, guests gathered together to light candles as a sign of peace, unity and hope for the future. 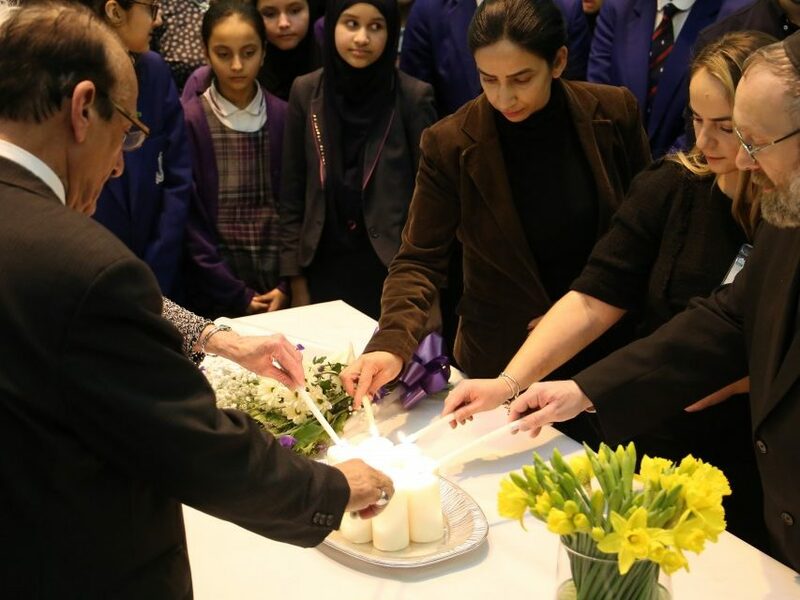 With speakers from different faith communities and contributions from secondary school pupils, our Holocaust Memorial Day ceremony shared the message loud and clear that hatred in all forms will not be tolerated in Blackburn with Darwen. Our annual commemoration of the holocaust reminds us why it is so important to listen to the lessons of the past so that we can all play a part in creating a safer, more tolerant future for everyone. Thank you to everyone from our local community who took part, and to Rabbi Saunders for visiting us once again on this important occasion in our annual calendar. A safe place to call home is something that we can all relate to – and so what we heard during the ceremony – stories of young children in Nazi Germany being separated from their families, and of more recent encounters of refugees who have made a new home in our borough – gave us serious pause for thought about what has happened in the past and is still happening today, so that we are alert to such issues and do all we can to guard against them happening in future. 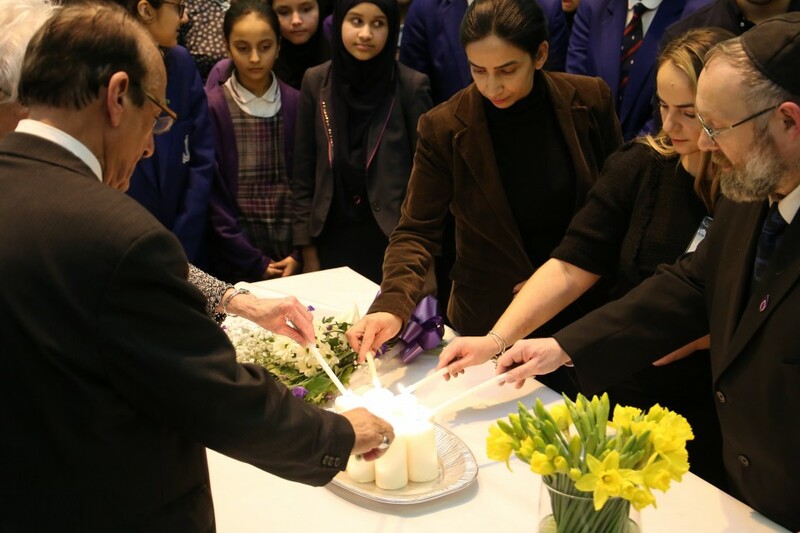 I felt honoured to be asked to be a part of the Holocaust Memorial Day ceremony. It’s been 20 years since the genocide in Kosovo; I shared my story because I don’t want it to be forgotten. It was an honour to come to Blackburn with Darwen once again. 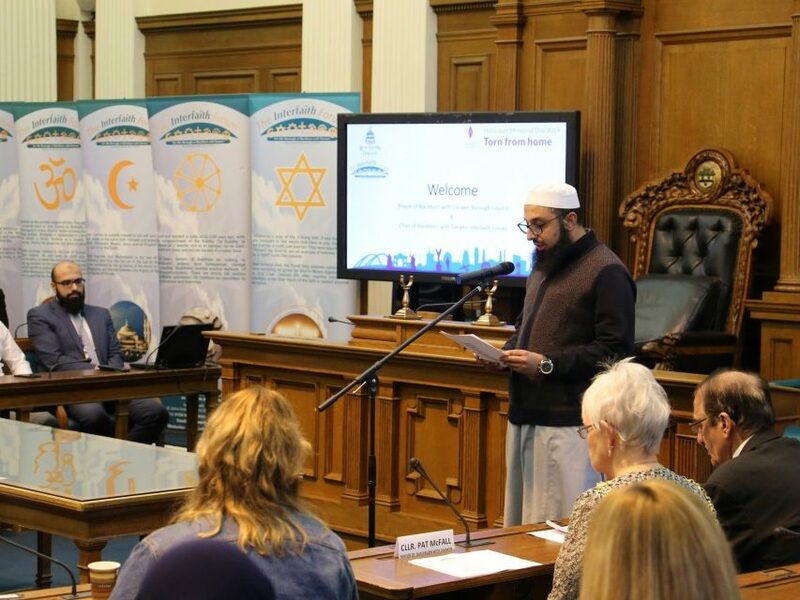 I think that the borough is a shining light to other towns and cities as a place where there are so many communities of different faiths, cultures and beliefs living together, and the Interfaith Forum does a wonderful job in bringing them all together. The theme ‘Torn From Home’ is one very close to my own heart since my father and father-in-law both survived the Holocaust. Hearing the testimonies of refugees who have left their homes more recently was very moving and humbling to me. Before this I wouldn’t have been able to imagine myself in the shoes of those children. Now that we have learnt about their stories, I can and that helps us to really understand the lessons of the past and to broaden our knowledge that things like this are still happening around the world. 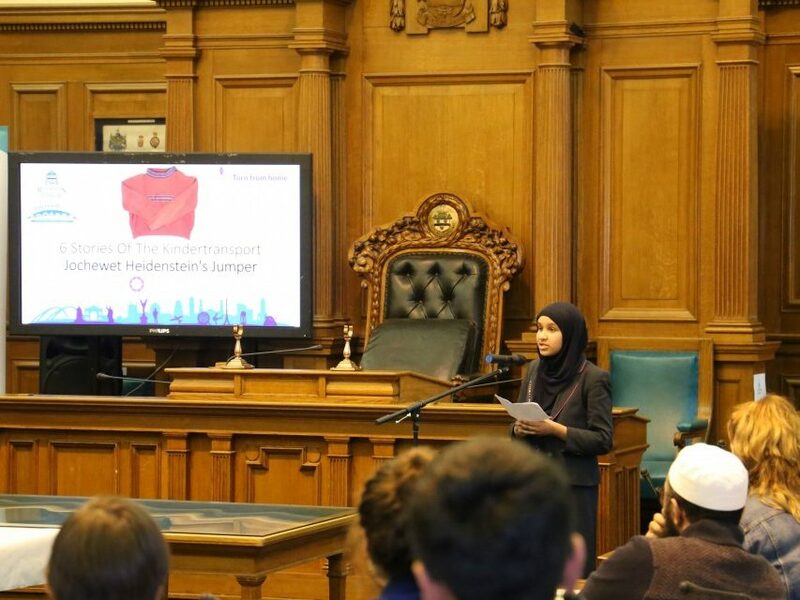 Scroll down for a gallery of images from the Holocaust Memorial Day ceremony in Blackburn Town Hall on Tuesday 29 January 2019.